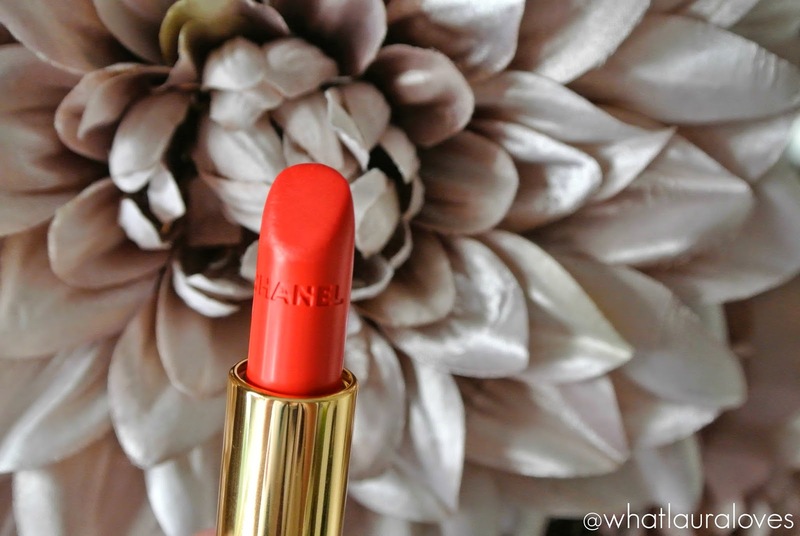 If there’s one lip colour you buy this spring, let it be Insaisissable from Chanel. 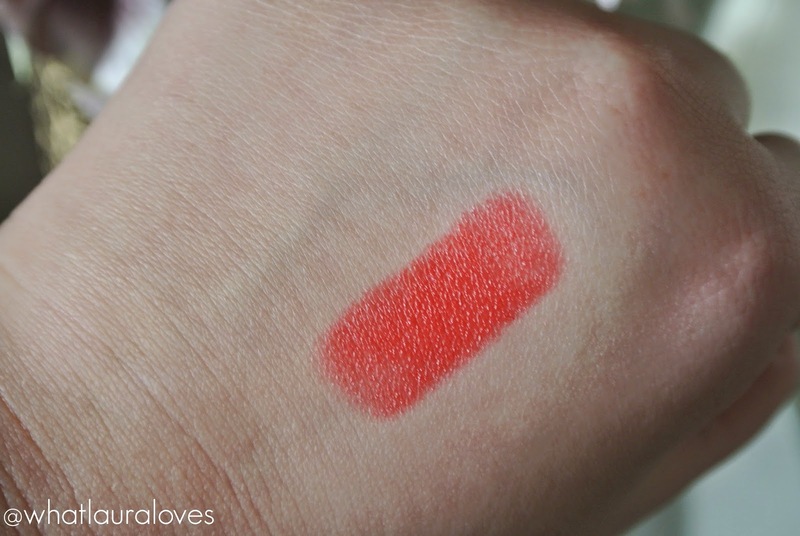 This coral lipstick with orange undertones is the epitome of spring 2015 style but if you want it then you’ll need to be quick as it is limited edition and we all know how quickly they sell out… I’ve never quite forgotten about the LE red that I didn’t manage to nab in time last Christmas. 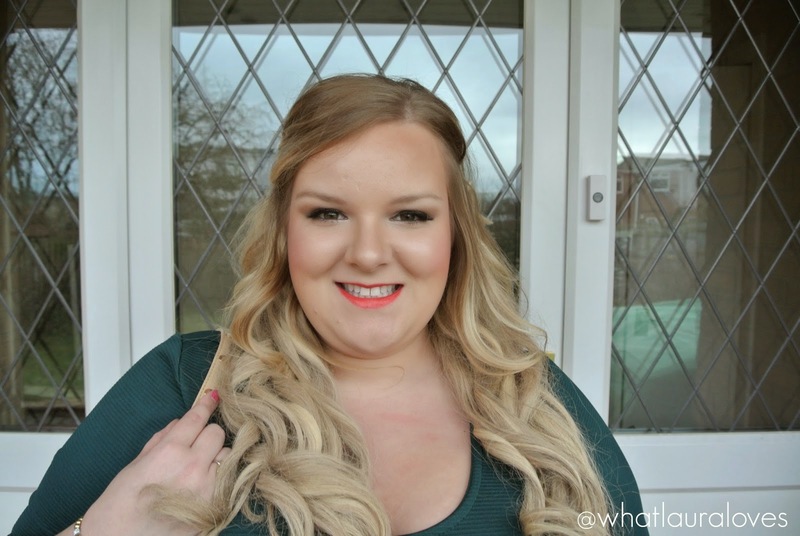 Regular readers of my blog may recognise this lip colour from my date night make up post and several of my outfit posts. I just haven’t been able to get enough of it since the spring collection launched. I’m never one to be so fashion forward with my lip colours as I usually favour nudes, pinks and corals regardless of the time of the year but there’s just something about this orange coral that has pulled my makeup look right into 20135. Chanel describe Insaisissable as a vivd coral which is just about right. It certainly is a vivd and it is a coral but it is so much more than that. In some lights, this lipstick could quite easily be mistaken for a red with an orange undertone and in other lights, the coral tones are very apparent. Despite being a noticeably brightened shade, Insaisissable is one of those lipstick colours that looks equally suited to daytime makeup looks as it does to night time ones. 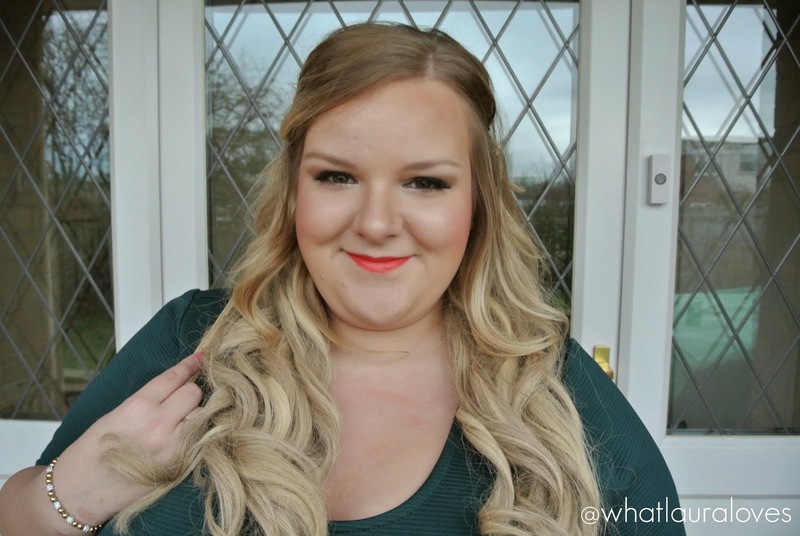 I do find that as this lipstick is warm toned, it does tend to suit a warmer complexion more than a cooler one. If you have a cool tone to your skin like I do or a pink undertone then simply warm up your skin with a light dusting of bronzer and you’ll be rocking this lipstick with the warm toned girls. 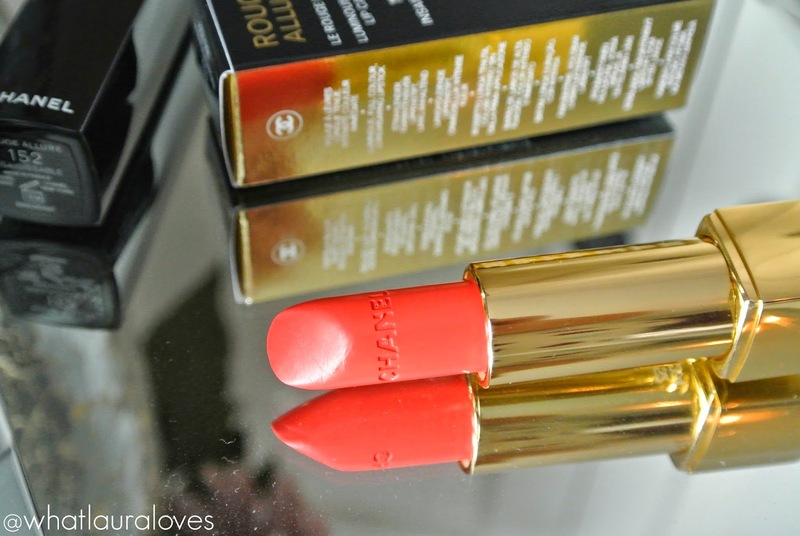 Insaisissable is one of Chanel’s Rouge Allure lipsticks so of course, they come in that amazing 1 click packaging that looks so chic when you’re pulling it out of your clutch on a night out. The Rouge Allure formula is fabulous and Insaisissable follows suit incredibly well as it applies effortlessly to the lips leaving a gorgeous satin finish which is actually quite buildable. If you’re looking for a highly pigmented lippy with fantastic colour pay off that is comfortable to apply and wear then this one is a great option and the lasting power isn’t too bad either. I find the texture of this lipstick to be quite waxy, it is quite light weight in texture and although it feels smooth, it isn’t in a creamy way. Perhaps one of those formulas that you’ll just have to try out to see what I mean. The formula is very buildable but the waxy texture meant that I thought that the lasting power of this lipstick wouldn’t be up to much but I was pleasantly surprised. Over the course of wearing it, it does seem to dry a little without looking unsightly and I can get a good four hours out of it, including drinking through a straw, before needing to reapply over the slight stain that is left behind. I am more than happy with this wear time. Plus, with packaging like this, I love to get this lipstick out to reapply! 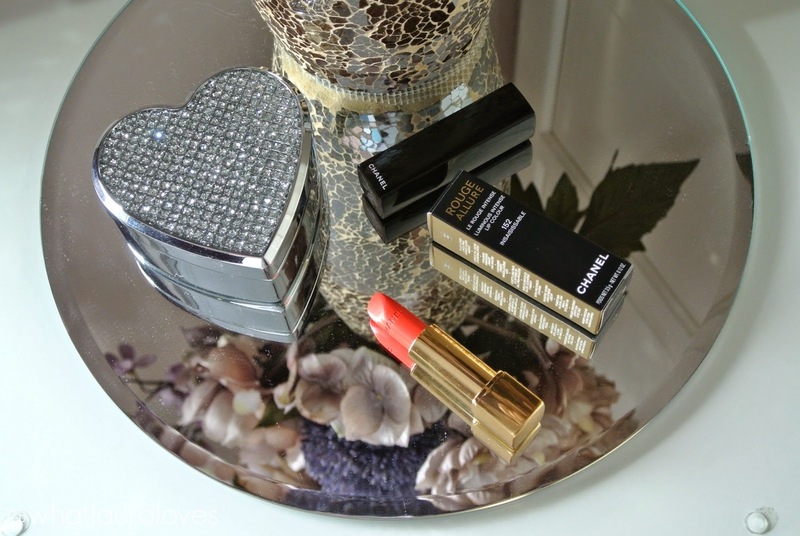 Chanel limited edition lipsticks are super hard to get a hold of but worry not, I have searched the internet high and low and found them in stock here and here for £26 of your finest English pounds. Don’t worry girlies, you can thank me later! For some reason, I've never found corals to suit me which is a shame because they look so lovely on everyone else! This shade is gorgeous and suits you right down to a tee! The bright coral shade really is YOU!! I wonder if this could be great on me as well! This color is so pretty and against your skin tone it look flawless girl! This color looks so gorgeous on you! 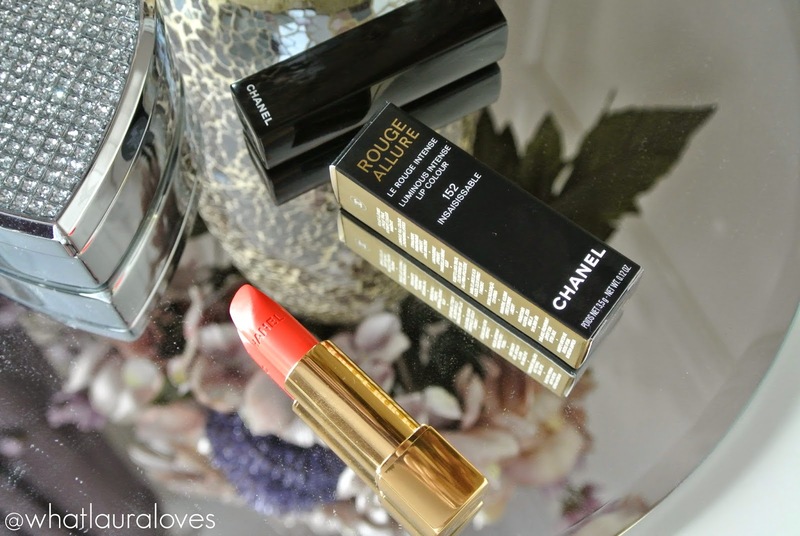 I've never tried a Chanel lippie before but do want to in the future!